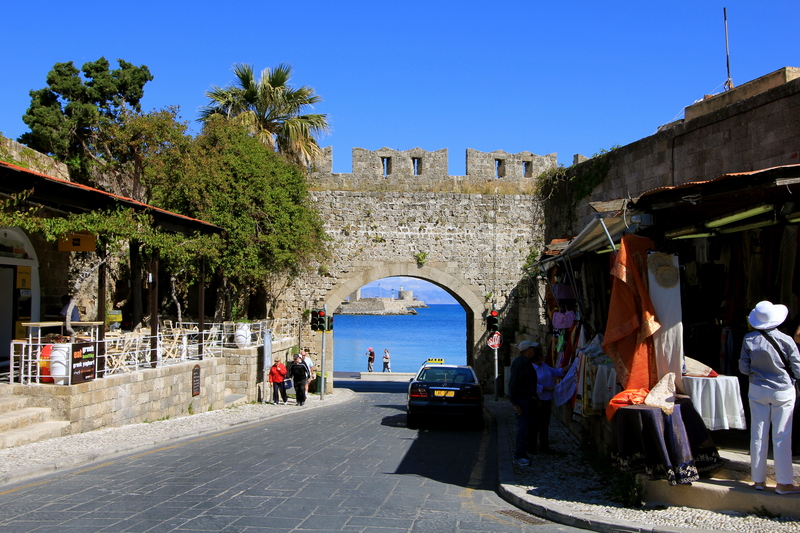 Another port of call during our April cruise on Holland America was to the Greek Island of Rhodes just south of Turkey. 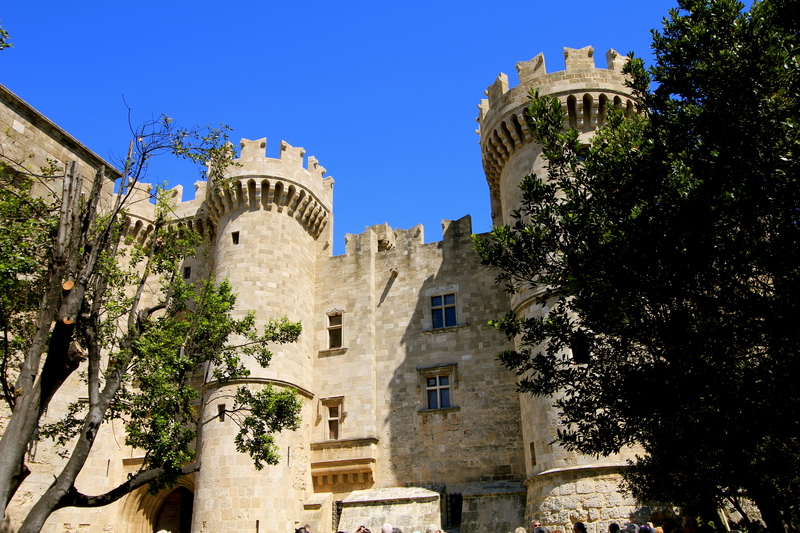 Rhodes is an amazing area of sights and history in a land conquered by Romans, Ottomans, Carthaginians, & then finally Greeks. Instead of taking any formal excursions from the cruise ship, we explored the bay and old town on our own. While Amanda Josey shopped, I went to see the sights. 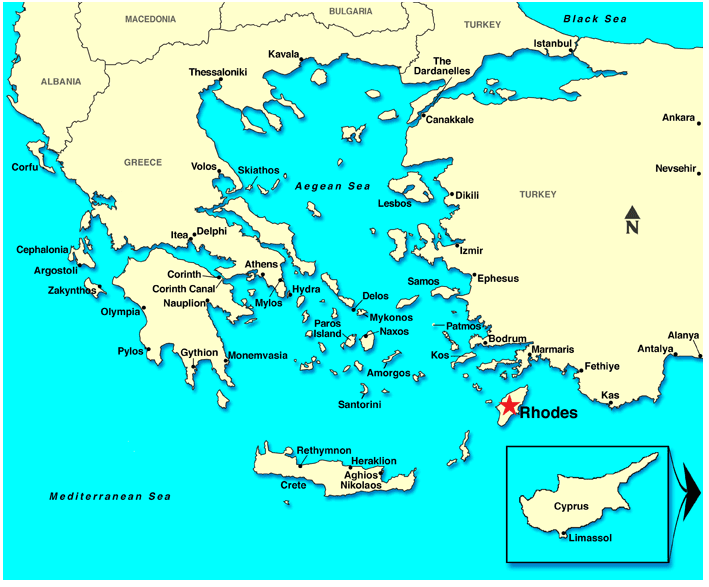 Rhodes is called the crossroads between Europe, the Middle East, and Africa. From its location on the map can understand why, especially how close it is to Turkey. As soon as we got off our ship, the thing we noticed right away was how clear the water was!! People have lived here since 4,000 BC. 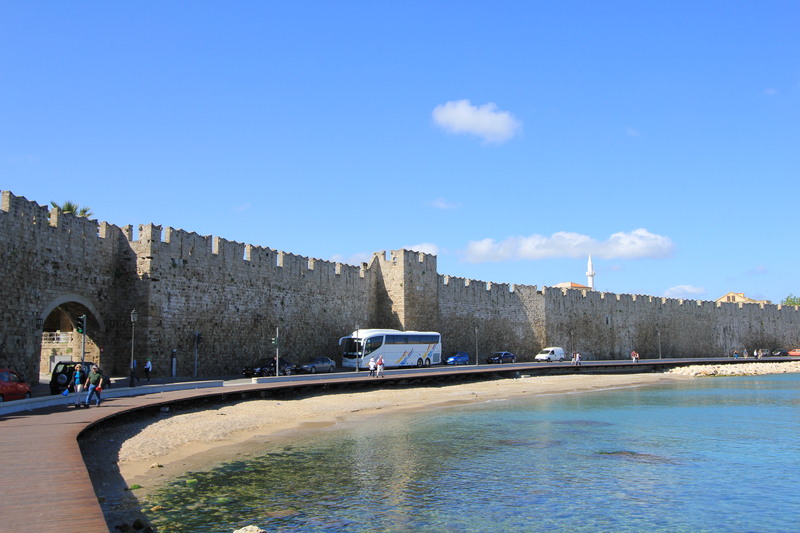 What is striking about this port city is that it is totally surrounded by a fortified wall built in the 1300s by the Knights Templar in defending the area against the Ottomans from Turkey, who later took over in 1522AD. Turkey is just 10 miles away and can be seen in the distance. 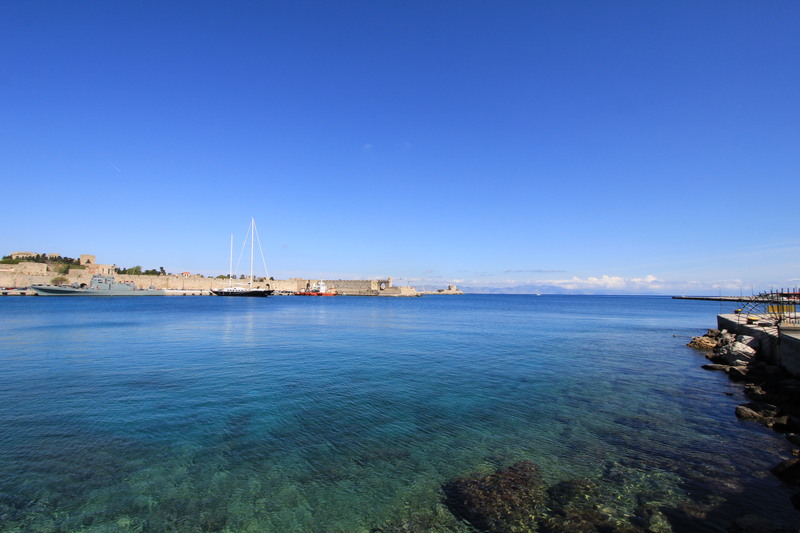 For any history buffs, this was the location of the statue called the “Colossus of Rhodes” , which was a statue of the Greek God Helius (the sun God). Built in 400 BC out of marble, iron, bronze, and gold. It was 100 feet tall and his legs stood across the harbor. 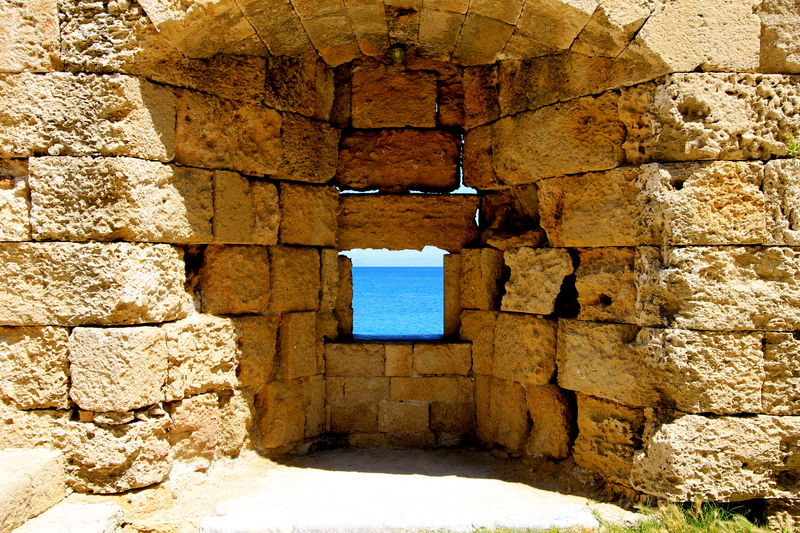 It was destroyed in 226BC by an earthquake. 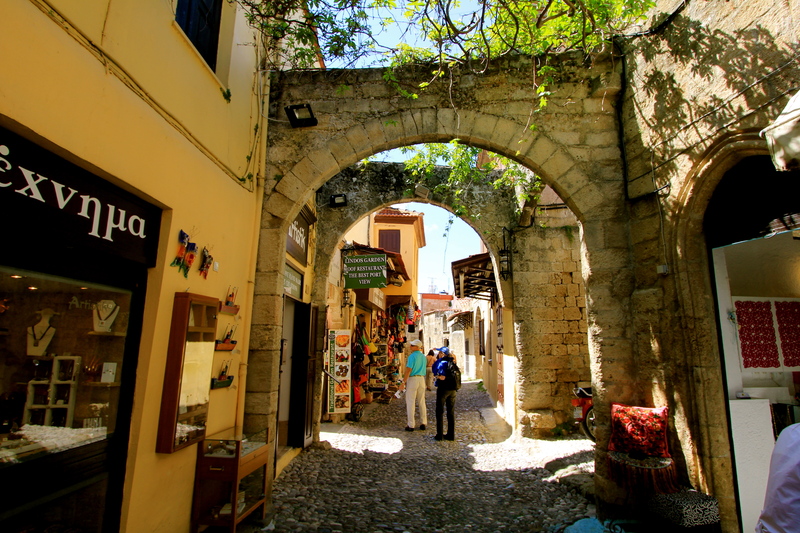 There are only a couple of entrances into the walled city area. This is one called the Gate of the Virgin because it is across from the site of the site where the Church of the Virgin Mary stood. 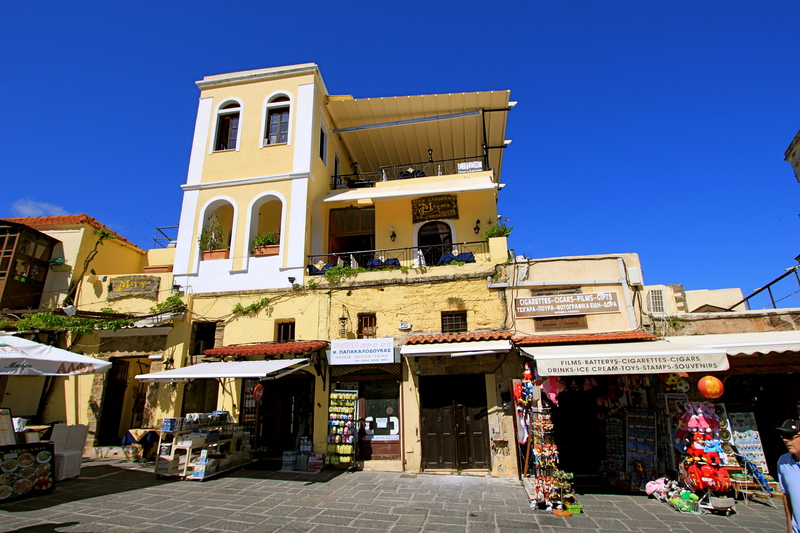 Today, the main street through the town is a Bazaar filled with many cafes and shops for tourists. Shop area of the Bazaar. Had to be careful because several scooters would whiz by you. The problem were the ones coming down hill, because the driver “coasted” down the hill to save gas, so you didn’t hear it coming. Most of this castle is the actual building. However both of these towers were destroyed by British bombs in 1944, as the island was occupied by the Italians during WWII. Well, if one has to stand guard on this lookout, at least there is a fantastic view! 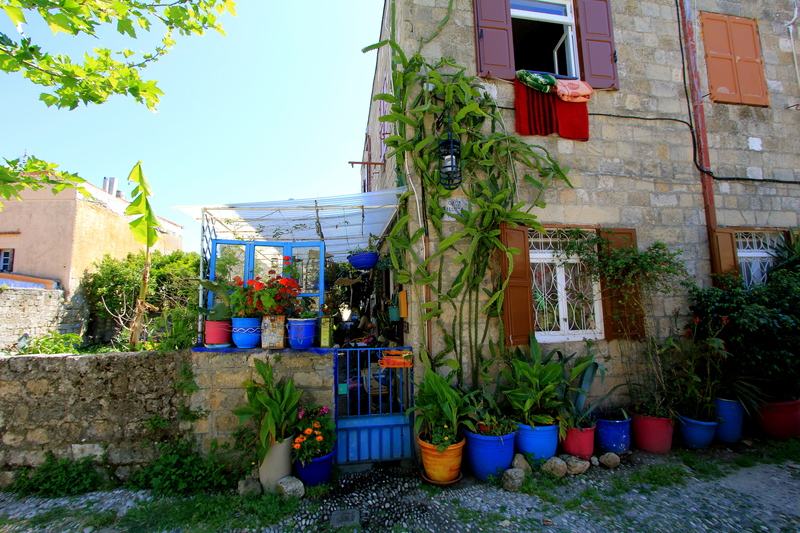 And, the colors inside the city are amazing against the backdrop of the stone colored walls. 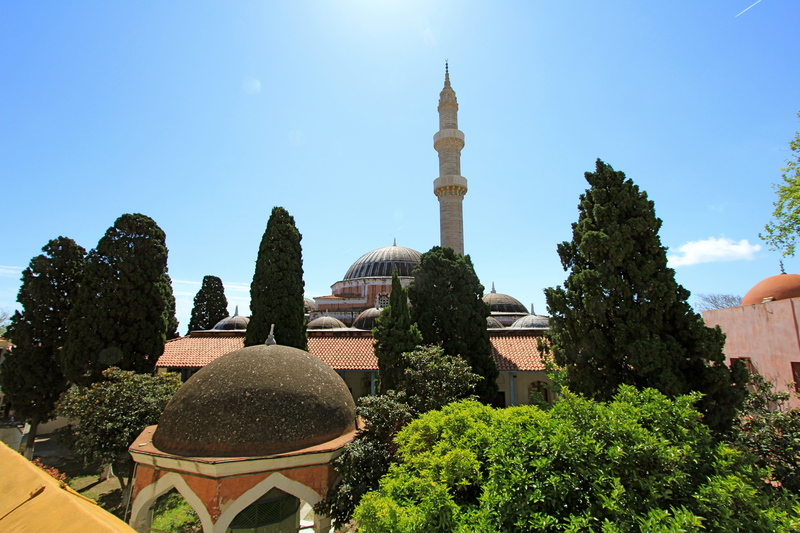 The center column is part of the Suleyman Mosque built in the 1500s over the conquered Christian Church of the Apostles. It is still used today, and is such a beautiful sight. 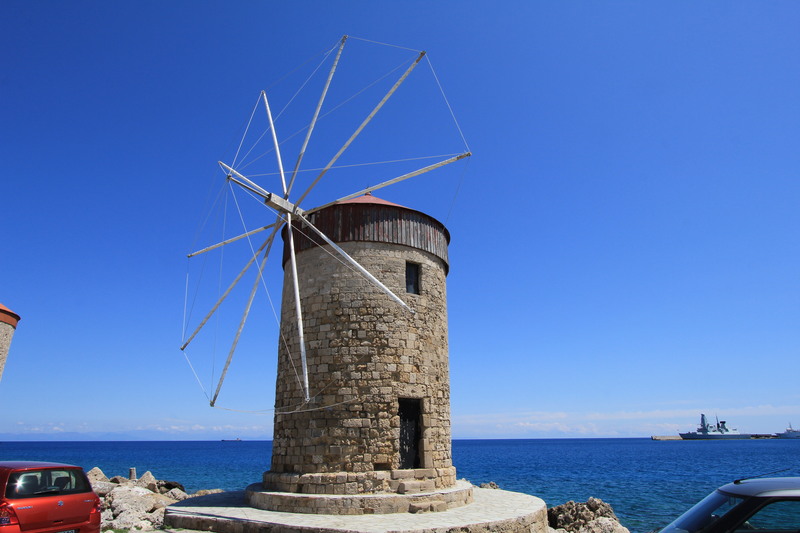 Then, as I headed back to our cruise ship, I passed by the clear water again, admiring the little fishing boats, and the simplicity of a Greek windmill. It was a very beautiful day to visit such a beautiful and historic place!